CAYLEY, GEORGE JOHN. A cultivated young gentleman, thought to have been English, who describes business and social life in Manhattan in the mid- nineteenth century. He lived as a ward of one “Mr. Goodhue” and was employed on Wall Street. He consorted with Van Rensselaers and DePeysters. 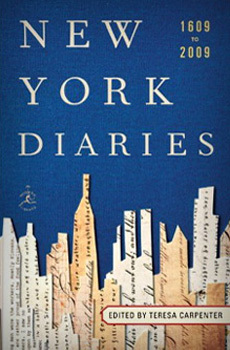 His diaries are unpublished and may be found at the New- York Historical Society.